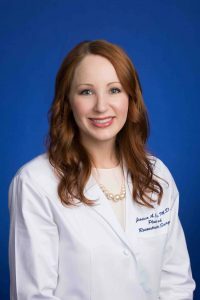 Jessica A. Ching, MD, assistant professor in the division of plastic and reconstructive surgery at the University of Florida College of Medicine, andLance Governale, MD, FAANS, FAAP, chief of pediatric neurosurgery and the L.D. Hupp Associate Professor of Neurosurgery and Pediatrics, will be presenting a talk on the latest developments in the diagnosis and management of head shape anomalies, representing UF Health at the 2018 American Academy of Pediatrics National Conference and Exhibition. The conference will take place from November 2 to November 6 in Orlando, Florida, and Drs. Governale and Ching will present from 8:30 to 10 a.m. on November 4 in Orange County Convention Center Room W311EF. The talk will cover head shape anomalies, including benign positional plagiocephaly and craniosynostosis, and will focus on early diagnosis and management of the two extremely dissimilar conditions. Governale and Ching will be emphasizing critical ages for referral of patients to ensure optimal cranial deformity correction and early referral to ensure that more minimally invasive options are possible. Other topics include new low-dose imaging techniques, as well as when this imaging is required. Governale and Ching hope to teach pediatricians how to recognize craniosynostosis as early as possible, as early identification allows specialists to tailor treatment for each patient’s individual needs and can reduce parental anxiety. The doctors will review the importance of a comprehensive team of pediatric providers when working on craniofacial issues, while sharing what UF Health has to offer in the realm of craniofacial surgery. Learn more pediatric plastic surgery at UF Health.